Applied innovative approaches to improve project execution for the LEED targeted Comstock Border Patrol Complex. Completed design-build services to construct the new 50,000 gross square foot Border Patrol Station in Comstock awarded under the Fort Worth US Army Corps of Engineers (USACE) Design Build multiple award task order contract (MATOC). The project is targeted for LEED Silver certification. 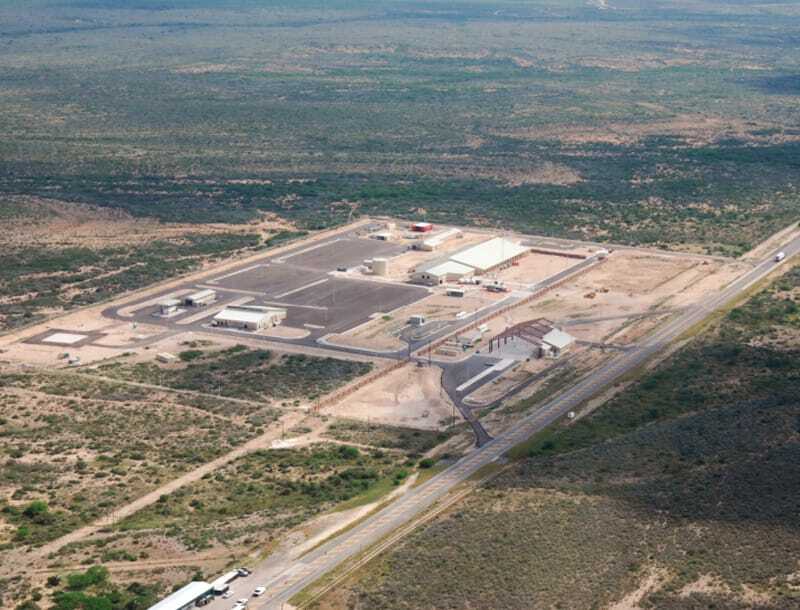 The facility is located in a very remote location in South Texas. Innovative approaches developed have benefited the schedule and saved cost. Instead of importing approved fill material to the site, Gilbane implemented a plan to “mine” existing material onsite and process it to meet state requirements. When the project water well could not keep up with our water needs the project team negotiated a deal with the adjacent land owner to drill a secondary well on their property, and fast-tracked construction of the nearest permanent site retention pond. Our project team has worked very well with the Department of Homeland Security Customs and Border Patrol and USACE, developing good rapport with their representatives that’s benefited the project.